The Executive Board is responsible for managing and directing the operation of the association and performing such duties as may be required during the year for the benefit of the entire membership. These duties include, but are not limited to, forming committees, establishing cooperative agreements with other organizations and contracting on behalf of the association. John Hoffman serves as the chief technology officer for the Texas Department of Information Resources (DIR). He is responsible for providing comprehensive strategic planning for the agency. John oversees DIR's IT leadership in planning and policy, accessibility, and enterprise solution services. John brings more than 25 years of experience in wired and wireless telecommunications, having held positions in network operations and integration, field operations, program management, sales and real estate. Most recently John was director of DIR's Communications Technology Services where he had management responsibility of the statewide telecommunications network and contracts including the capitol complex telephone system. During this assignment John focused on providing thought leadership, technical support, competitive environments and enabling innovative solutions to state agencies and other DIR customers. John holds a Bachelor of Science degree in engineering management from the University of Missouri and a Master of Business Administration from Southern Methodist University. 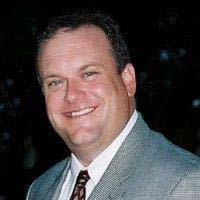 Brad Steele is the senior director of unified communications for the Executive Office of Technology Services and Security (EOTSS) at the commonwealth of Massachusetts. Since joining state government in 2009, Brad has worked to meet the EOTSS plan of providing secure and quality digital information, services and tools to constituents and service providers when and where they need them. He is responsible for the ongoing planning and operation of communications systems for Massachusetts. Brad has concentrated on ensuring that the services offered by EOTSS for network, telecommunications and messaging provide for a consistent and efficient experience across the executive branch, as well as participating entities. In addition, Brad serves on the procurement team for three of the commonwealth’s major statewide contracts. He has managed to well position the commonwealth for future technologies and ongoing consolidation. Brad is a proud father of two boys, Andrew and Dillon. He and his wife Rosemary love to travel and tackle home improvement projects together. An Air Force veteran and an avid sports fan (partial to all teams Boston), Brad has a special love for the New England Patriots for whom he supervises in-game electronic signage. In his spare time, Brad enjoys singing and playing the guitar. 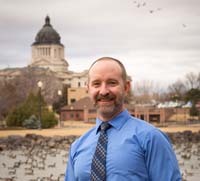 Pat Snow is the chief technology officer and director of telecommunications for the state of South Dakota. He is responsible for the strategic vision and tactical planning of technical solutions for the state. As director of the state’s Telecommunications Division, Pat is responsible for all data, voice, video and radio tower communications, as well as operational security and endpoint computer support. Pat has worked for the state of South Dakota Bureau of Information and Telecommunications since 1996. 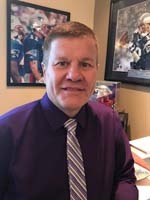 During that time, he has served as the main architectural influence for data center infrastructure, endpoint services and managed programs providing services to all executive branches of government, all public K-12 school districts and the state’s public higher educational institutions. In his spare time, Pat is an avid outdoorsmen, enjoying fishing, hunting and hiking. He can also be frequently seen with a musical instrument in hand, all while proudly wearing the colors of his beloved Nebraska Cornhuskers. Venable is the director of network engineering for the state of Alabama’s Office of Information Technology (OIT). Prior to joining OIT, Venable engineered and oversaw the installation of the Montgomery Internet Exchange and also worked for Lockheed Martin Corporation at Maxwell Air Force Base/Gunter Annex on the United States Air Force’s defense message system and global combat support system. Venable earned two baccalaureate degrees from Auburn University, a Bachelor of Arts in Spanish and a Bachelor of Science in business administration with a focus in management information systems. He also earned a Masters of Business Administration in information systems from Troy University. Venable holds a patent from research with fiber optics and groundwater decontamination and holds the designation of Microsoft certified systems engineer. He is also a member of the North American Network Operators’ Group. An Eagle Scout, Venable serves on the boards of One Place Family Justice Center and the Montgomery Quarterback Club. He is a graduate of Leadership Montgomery and a member of the Montgomery Rotary Club and Montgomery’s First United Methodist Church.